I was talking to "my guy" at the local music store, and expressing some dislikes about the Elixir NanoWeb strings. I've been using them for a couple of years, but find them stiff and hard to work with. It felt like having heavy gauge strings on (been using 11-52's) with the guitar's action being too high ... none of that was the case. Paul mentioned that Elixir's coating is quite thick, and that also don't make their own strings (they just coat them) so the coating covers the whole string, filling in the wraps. That's where the thick feeling was coming from. 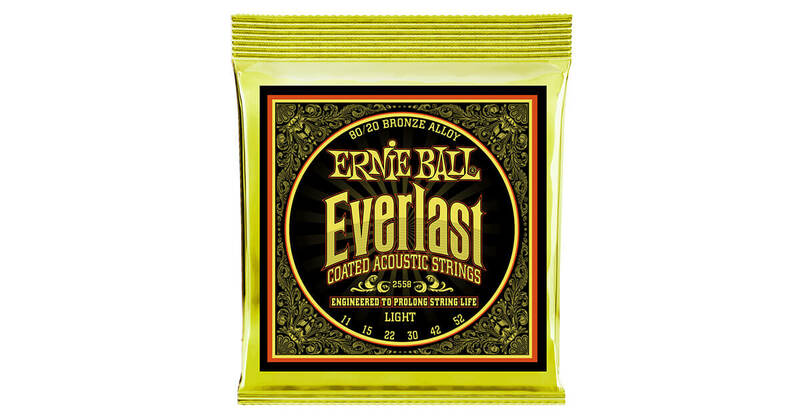 He suggested trying these Ernie Ball "Everlast" strings, as they coat the core and the outer wire before wrapping. He described their coating process as being much thinner than Elixirs, using a hex inner wire instead of round for less bulk and more flexibility. I also prefer 80/20's to Phosphor/Bronze, which they also make. I am so pleased with how these sound and feel. Much more pliable, more sustain, brighter tone, and easier to handle with less grip. If anyone's in the mood to try something new, these are very good ... be using them from now on. I never have liked Elixir either. Also over priced. Hahaha ... I grinned when I saw your reply. Must be installing some industrial cable for strings, are ya?